Shiner Roofing, Siding and Windows only works with the finest, most reputable metal roofing manufacturers in the country, including ATAS and Sentrigard™. We belong to the prestigious Metal Roofing Alliance, an organization founded to promote the many benefits of metal roofs. We also are a locally owned and operated home improvement contractor, and we want our friends and neighbors in Washington, D.C., McLean, VA, Arlington, VA, Bethesda, MD, and elsewhere in the region to know they are getting the very best service, the most reliable metal roofing products, and the greatest home improvement value available. 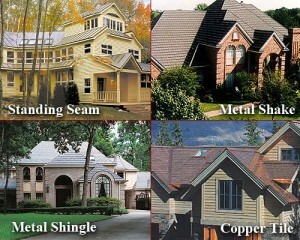 Contact Shiner today for more information about your metal roofing options. We are a licensed, bonded and insured home improvement contractor in Virginia, Maryland and the District of Columbia, and have proudly served the Washington, D.C., region since 1981.